I had no idea things would pile up so fast. Wasn’t it just Christmas? In the thick of church outreach activities, message prep, meetings, people needs, and countless Bible studies, I ignored the growing stack of unfinished work on my desk. “I’ll get around to all that when things settle down after Christmas,” I figured. But the stack grew, until it occupied parts of my floor, too. My digital inboxes were filled with urgencies. And little emergencies kept cropping up. Come mid-January, I was in deep clutter. “Where did all this work come from?” I muttered. I consider myself pretty neat, but messy stacks were piled precariously around me like a bad Dr. Seuss illustration. I like finished projects, so this was all very stressful! Even as I still deal with my personal catch up (in time for Easter? ), I realize there is a greater unfinished task to be done. I live in the middle of it. It’s ironic -- or perhaps necessary for my discipleship -- that God would put someone that likes neat, finished things into the middle of the World’s Biggest Unfinished Task in mission history. Yes, I’m talking about Japan. Japan’s 99% without Christ is one BIG unfinished project in missions for the church -- that’s you and me both. 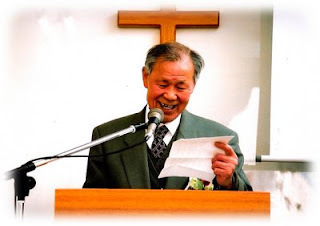 We CAN plant an evangelical church witness in Tokyo’s growing urban centers -- starting with Musashi Kosugi (photo above). This is finish-able! If the world can add all that infrastructure and all those people to that tiny area, surely God’s people can add a mission outpost and church planter. Or do we think -- like I did with my unfinished tasks -- that “we’ll get around to it when things settle down” ? We invite you to consider investing in a new church work in Musashi Kosugi, as a church, family, or believer that loves Japan. May we ask that you first help underwrite the monthly financial support of a local church planter (that’s us) for Musashi Kosugi? You may use WorldVenture's online giving here. By the way, at the end of the day, and in the middle of my unfinished work, I am so glad to rest in the FINISHED work of Christ at Calvary! We envision a version of this with 1st floor “store-front” space for outreach ministries and new church to gather, and living space above for ourselves/staff. This vision is so beyond our power. Please pray God will open up a house that can be renovated or cheap land that can be built on, and provide needed financial resources. "What am I doing here again?" It wasn’t really the ships that brought them in 1859. Just like it wasn’t the jet that brought us in 1999. 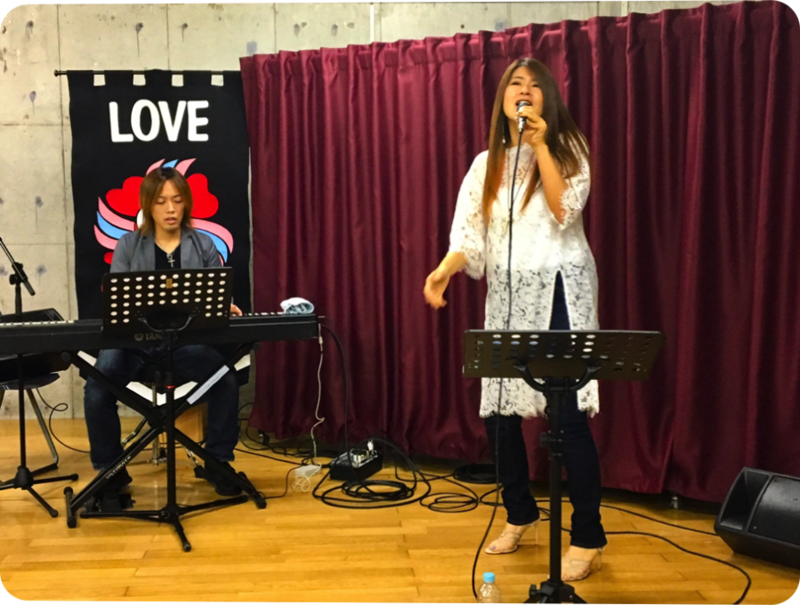 We’re here in Kawasaki / Yokohama for one simple reason: the love of Christ compels us (2 Cor 5:14). Christ is both the compelling call upon our lives, and the redemptive thread who weaves through and holds together every random activity we’re about as missionaries -- and there’s a lot. Every meeting I fumble to lead, every worship service we plan, every Bible study I prepare (dictionary in hand), every church event I fret about, every hand in the hospital I hold in prayer, every wedding or funeral I conduct (thankfully, more weddings than funerals lately), every church bazaar flooded with visitors, every note sung in our gospel music workshops, every kids outreach, English Bible Class, prayer times, or church association face times. Then in quiet reflection, I realize that the central reason and theme is bigger than our tiny mission vision, or even church planting work. The center of it all, when you get down to it, is Christ: “Everything got started in him and finds its purpose in him” Col 1:16b. So, I repent of having an overly pragmatic eye. Sure, I want it all to move a larger mission vision forward. But more than that, I want it all to move people to the center of it all: Christ. He is the axle and spokes of the wheel of this work. He is the best vision for this country. And the reason we’re here at all. Yes, all those conversations held in my poor Japanese. All those kanji-filled (Japanese) emails written that Kaori lovingly corrected. All those messages in broken Japanese that make my wife giggle or sigh when I practice. All those prayers I stumbled through in my language inadequacy. All those reports, thank you notes to wonderful supporters, and newsletters. And especially that caramel macchiato I just sipped together with a new Japanese brother in Christ at the edge of the Tama river in view of Mt. Fuji. It’s all about Christ. I wouldn’t be here without Him. I wouldn’t do it for any less reason than love for Him. He’s the central theme of it all. Through that lens, I see the last few months of activity more clearly. 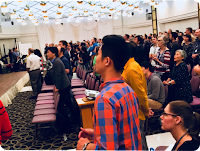 Not everything moved along our vision as I wanted, but hundreds of people -- many who have never met a Christian in Japan -- were moved along to the center of it all, and pointed to the cross of Christ. The answer: Christ, the original missionary, came incarnate to earth, sacrificing all, to bring people to God. His model is the one that motivates us still. I am here by Him and for Him alone. Christ is the central reason and theme of it all. May this truth guide our thoughts toward Christmas 2017! The cherry blossoms are long gone. Scorching temperatures came in May. And now June begins the rainy season in Japan. 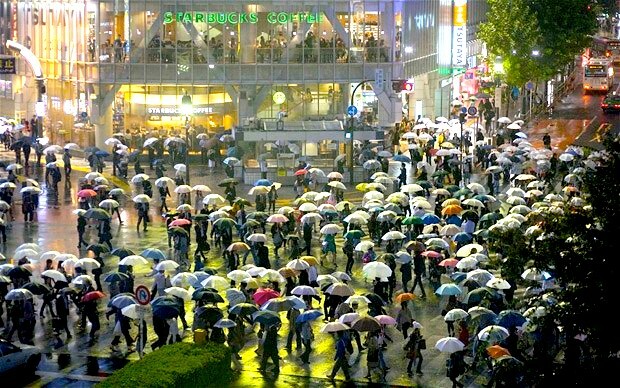 Rain poncho and umbrella sales are booming. Seasons change. Even in the life of a church planter. Although there's still much finishing work to do at Denen Grace Chapel, we've started to look toward to our next church planting work in the area. It won't be easy. But we're praying as a couple. We're communicating vision to Denen church members. We're trusting our Season Changer's guidance and provision. Would you pray with us, too, for the changes ahead?Even as seasons change for us in church work, sometimes we get a slice of several "seasons of church planting" at once (that happens in weather, too). Here's a snapshot of four seasons in the last few months. 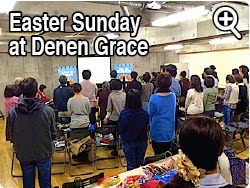 How long and hard we've prayed and agonized over our church plant, Denen Grace Chapel! Yet Japanese Christians have prayed and agonized much longer and harder! I was reminded of this at our "Teamwork Meeting" in northern Japan. That's a gathering of our church association pastors and missionaries. I was challenged anew by our early morning prayer time together. We prayed for Japan. I sat between a pastor weeping and another prostrate on the floor. For hundreds of years, in spite of the sweat of many workers and the blood of many marytrs, the Japanese have only responded in small numbers to the gospel. But we pray and wait. God is working under the surface. For many in this group, it's their first interaction with the Bible! 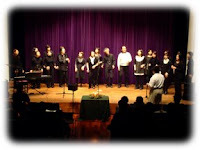 Toward the end of class, our church member (standing in photo) shared a familiar Japanese rhyme used in writing exercises. Few Japanese know that it was created by the underground church (see website) during the martyrdom of the 17th century. The last letters of each line form the hidden acrostic: "Jesus died for me." That discovery brought some startled response from the ladies! Keep praying! Recently while preaching at my wife's home church in Yamagata, I was struck by this photo on display there. 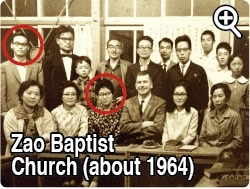 It shows a tiny group of early church members (including my circled in-laws) surrounding the planting missionary, Joe Meeko. Fifty years later this church has multiplied many times over. It's won to Christ, discipled and sent out many, some even to foreign mission fields! And my life story intersects here, too. 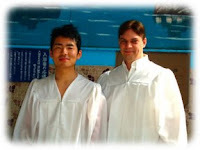 Without that missionary's evangelistic work, I might not be married to a Chrisitian woman named Kaori! Recently on Easter Sunday 2014, I did again what I sometimes do in church. I got out of my front seat and stood in the back. The view from the back is special. Seeing new Christians standing together and worshipping God draws me into deeper worship and thanks, too. Imagine you’re aboard a cruise ship. Together with friends, you’re enjoying a time of refreshment and inspiration. You’ve settled into a comfortable cabin. The boat is full of life and activities. You’ve even been asked to help out with things. Food and laughter fill the air. You’ve been sailing the ocean for quite a while, but not sure just where you’re headed. One morning as you stroll the deck, you notice a large, strange box alongside the railing. Curiosity gets the best of you. You peek inside. Under a layer of dust, you can see coiled ropes and folded nets. For the first time you notice other such boxes all around you. You can just make out the faded letters stenciled on the side: T-A-C-K-L-E. You ask a fellow passenger what this means. He only shrugs. The cabin steward shrugs. But a ship officer seems to remember a story. Before the cabins and carpeting. Before the pools and deck chairs. Once upon a time this ship had a different purpose. On my desk I have a boat model to remind me of my task in Japan, which is also the task of the church. It’s a fishing trawler with nets on the side ready to drop into the water. 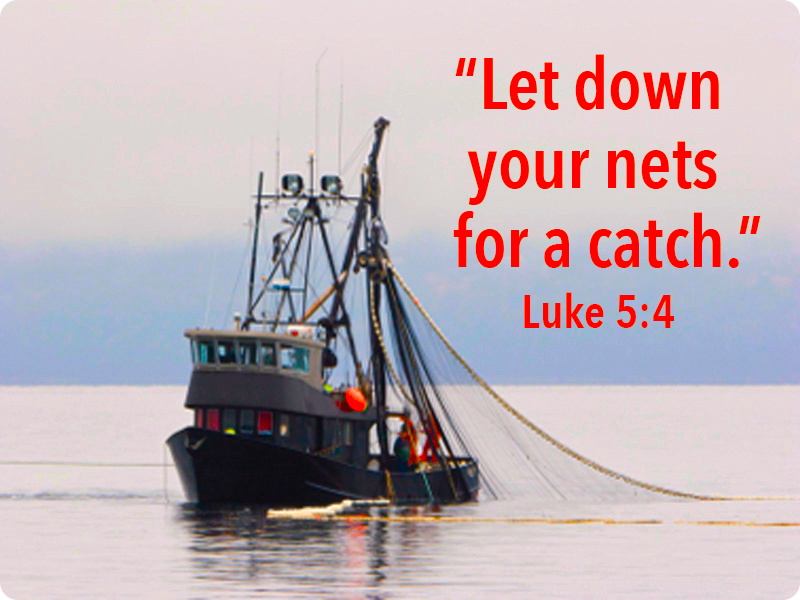 You may not have realized it, but when you placed your faith in Christ and stepped aboard the church, you stepped aboard a boat designed to be a fishing trawler. When Jesus said, “Come, follow me and I will make you fishers of men” (Matthew 4:19), that was also your calling to a specific mission of which you are a special part. True, the church could be converted into a cruise ship, but that isn’t the plan of its Builder. Our Builder, Christ, intended us to be about the task of fishing. He’s supplied us with gospel nets of forgiveness, reconciliation, joy, wholeness, and compassion. He’s given us people who know how to this tackle in creative and effective ways. He desires that we work together to go fishing, to draw all kinds of people toward himself. Church planting is building another fishing trawler. Let’s face it. 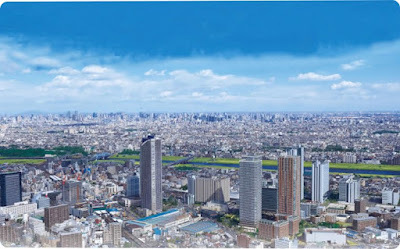 The amount of fish in Kawasaki (99.5% of 5.2 million people) alone is far beyond what one boat of fishermen can handle. One boat may never catch some types of fish. And one boat alone could never hold them. If a spiritual awakening comes to Japan, what would we do? We need greater capacity! We need new people trained to fish along with us, using their own unique approach, and catching their own unique catch. Let’s not forget the purpose we were built. Let’s trust God to bring about a miracle catch. As a missionary family, it is our vision to be sent out from Denen Grace Chapel, to work nearby building another fishing trawler, to be “partners in the other boat” fishing closely in this area together. Would you pray with us? Let’s go fishing! Church Planting = Transporting Heavy Objects. At least it's seemed that way these last eight years. 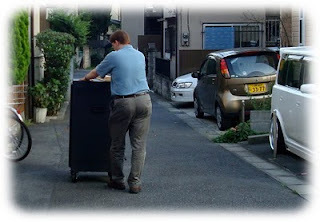 It's true: when you haven't your own church building you need to do a lot of carting things back and forth from home. The first couple years were especially backbreaking. The last six years we've had some storage at the private hall we rent. Still, you name it and I've probably moved to or from church with many grunts and groans. The latest of the heavy objects made its way to our church location this past Friday. In an effort to upgrade our PA system at church, I purchased a rack enclosure and mounted audio components (audiophiles will know what I mean). It made sense to have it delivered to my home and fiddle with it there, but then came the problem. This cast iron thing is the size of a small refrigerator and easily weighs 500 pounds after equipment is installed. There was no way this was going to be lifted into or fit in my vehicle, even with my sumo buddies helping out. What to do? It seemed to make the most sense to simply roll this black beast all the way from our home to the church location, a distance of about 1 1/2 miles. I've long since lost the ambition to completely blend in with Japanese society. I realize I stand out. But I've never felt like I stood out more than this past Friday. I felt the eyes of the community on me as I noisily bumped and rolled this massive black box down the streets. Past bikers and pedestrians, past the local train station, through traffic, down the main shopping street, and in front of the police station. What a spectacle! Although no one was brave enough to ask, the common question I saw written on their faces was, "What is that foreigner doing with that huge metal black box?" Before the journey was done, I had the same question myself. I was drenched in sweat and my back begged for mercy. Although my sore muscles need more time, my pride has at least recovered. Still, I wonder what strange heavy thing I'll be moving next week. My neighbors are asking the same. Here we go! 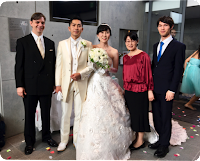 Pastor Kondo and his wife, Mikiko, were officially commissioned in our Sunday worship service. We will have a more formal installation service in March, but this is the start of their ministry with us as a church. When we started the church we could not have imagined what God would have in store for us these past seven years. Through all the victories and letdowns, the blessings and challenges, we have trusted that God would provide national leadership for the church. And He did. And what a great couple this is to work with in 2010. We look forward to putting hands together in ministry. Take a look at his background and vision. Also, pray for this financial need. 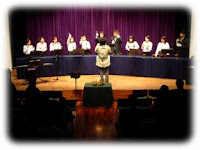 The sound of handbells at Christmas are like angel voices announcing the birth of Christ. What an inspirational joy it was to have them as part of our Christmas celebration as a church! 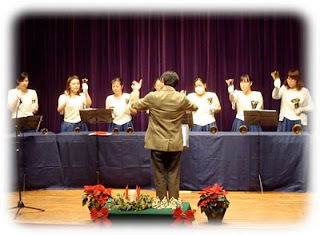 Our concert on Sunday featured handbells and gospel music, with a Christmas message from Kaori and I (bilingual), and Christmas carols sandwiched between. Rather than fussing with tickets and money, we simply made the concert a charity event with all giving going toward Wheelchairs of Hope. Altogether nearly 100 people filled the tiny rental hall. This is quite a gathering for a church in Japan! We prayed and planned through the many details needed to see the event go smoothly. There were a few glitches, but God was honored and glorified. Many unbelievers heard the Gospel message explained as simply as I could, and given an invitation to respond. Thank you, Lord Jesus! Your next birthday celebration at Denen Grace is coming up this Sunday, 20th. Japanese celebrate a 1000-year-old festival in November called Shichigosan. “Shichigosan” literally means “seven, five, three.” These are the ages that are considered critical in a child’s development by Japanese. 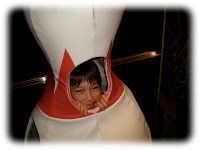 Parents will dress their children in traditional clothing, and take them to the local shrine where the priest will offer a prayer of blessing from the gods. This affords a unique opportunity for the church in Japan. There is no stronger god than the true, living God; and no greater blessing than that which He gives. Why not ask parents to have the church pray for their children instead? This past November Sunday, I again had the opportunity to pray for the salvation or spiritual growth of kids gathered at our church, as parents watched and listened. Jesus said, “Let the little children come!” and so we welcome them in His name! 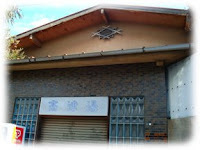 A few decades ago there were only a couple churches in greater Tokyo within our association. Today there are more than 20. All things considered, the rate of church planting has been fairly robust. There is still much work to do, and many setbacks in the work that has already been done. Annually we have a "Family Festa" or joint meeting of all the greater Tokyo area churches as a way of cultivating community and fellowship, and helping us develop a bigger picture of what God is doing in our midst. 150 people might not sound like much with 24 churches involved, but this is quite a large group of Christians by Japanese standards! 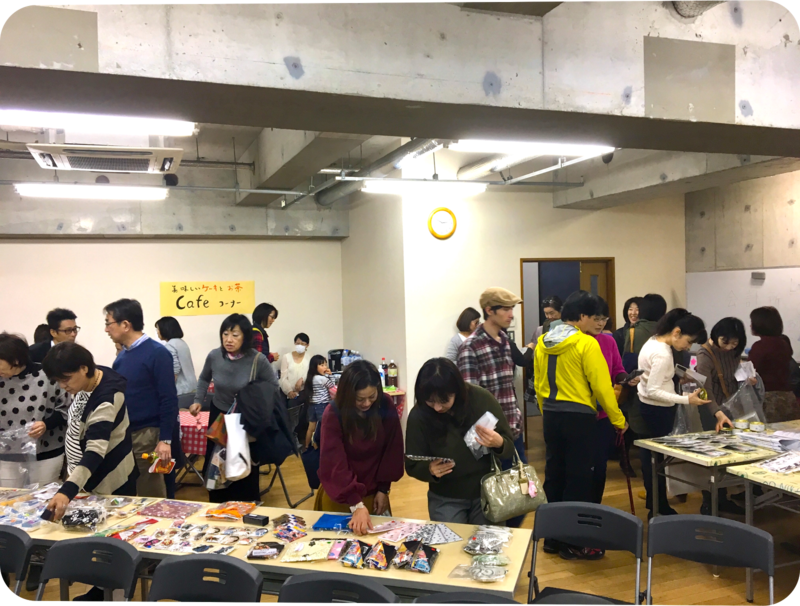 This past week, five of us from our church plant, Denen Grace, woke up at the crack of dawn to travel across Tokyo to be a part of this Festa, held at a larger association church. 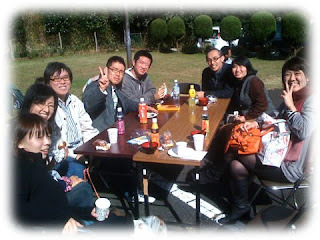 Here's a photo of a few of our church people around the lunch table outdoors. Three are new believers! 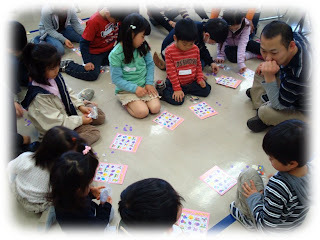 Pray for even more harvest to come from among our churches spread across the Kanto plain! This past week I preached in our church on the importance of rest. I shared how the concept of rest flows thematically through Scripture, from God's modeling physical rest for us in Genesis 2 after creation through Christ offering spiritual rest to us in Matthew 11:28. Sometimes the preacher needs to pay attention to his own message. We have been far too busy as a family in the last two months and scarcely have had a chance to rest. We justify the busyness (or at least I do) by reminding ourselves that it is for God's kingdom purposes. That's good busyness, right? But we need rest. Truth is, most people in Tokyo do. This culture is a 7-11 24/7 365days a year, non-stop culture. People are worn down and worn out. It's obvious just by doing a little people watching. And our church people are equally overstressed and overworked. The biggest obstacle to church planting in Japan (in my humble opinion, at least), is that the hectic lifestyle gives no room for one to consider spiritual things, much less be part of a church community in a consistent way. Well, I digress. What I really wanted to say is that we finally took 3 days off as a family and went down south to the Mt. 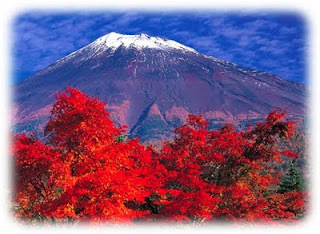 Fuji area. The fall colors were wonderful, as was the time together as family. Enjoying our connection with God, with his creation, and with each other. The same components of rest that man experienced in Eden. It's good to take time aside to taste a bit of Eden again! Without a church building of our own, we continue to look for creative solutions for baptizing new believers. Praise the Lord that this is even an issue for us! This Sunday we baptized two new believers in the kiddy pool of a nearby kindergarten. D-san has a mother with a business as a Buddhist guide. His father abandoned them. His grandfather that lives with them has a severe drug habit. Not surprisingly, D-san himself has battled depression. But since coming to church for the first time last fall, he has been steadily growing, changing, and healing. He accepted Christ last December, and is looking forward to be baptized this Sunday at 31 years of age. H-san took a bit longer to come to faith in Christ. She is a middle-aged housewife who visited our home 7 years ago when we first began church planting work in Kawasaki. A pet lover, she was very interested in meeting our "joyful princess" Keekee. But she was some time away from a decision for Christ. During those seven years she maintained a close relationship with a core church member as God led her through some difficult times. This spring she was back in church again, and this time she was very open to the Gospel. She is growing in Christ and already a tremendous asset and encouragement our the church family. Praise God for these baptism candidates! Would you pray for their continued spiritual growth and witness to their families? And thank God for good rare sunny weather on Sunday. An issue for us as the rainy season continues here and the pool is outdoors. I've mentioned before that I was thrilled to get the blessing of the local chounaikai (community group) to place our church flyers on their numerous bulletin boards around the neighborhood. This gives us more exposure, and perhaps a little more credibility, in the neighborhood. There are some twenty bulletin boards in a 3 or 4 kilometer radius around our house. I make the rounds and tack up our letter-sized flyer relating to a specific event: English, Gospel, concert, Kids, etc. The church address and telephone number is always listed at the bottom. I've been saddened, however, to find on numerous occasions that my flyers have been either obviously torn off the board, cut to shreds, or mangled in some other way. In spite of this, I continue to replace the destroyed flyers and go on. 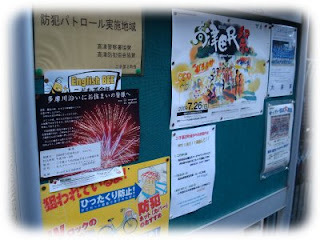 With our Kids English outreach (7/28-8/2) just around the corner, I once again put up flyers this past week. This time at each and every location someone deliberately moved another item tacked on the board to cover mine. Here's a photo (above). I moved my flyer to a new spot, only to have it recovered. Someone is obviously not happy with my flyers. And so the spiritual battle for the hearts of Japanese continues. It is frustrating at times to lose little fights like this along the way, but we know God will bring the ultimate victory in the war. A missionary can only do so much. Eventually a missionary needs to bring a national partner into the work begun, and begin to turn over leadership if it is to grow in a culturally healthy way. This is true in our ministry. The church plant has grown over the past several years by God's grace and your prayer, but the time is now right for national leadership for the Denen Grace Chapel. But it is critical that the individual share a common vision with those in our church ministry! Enter Pastor Kondo. 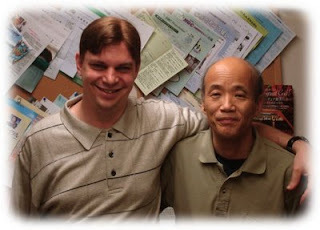 He has a vision to work together with a missionary to reach more Japanese for Christ, and plant more churches. 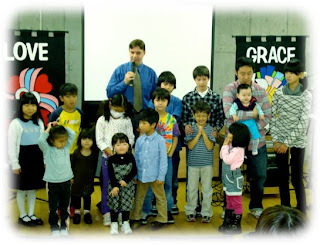 He’s spent 18 years overseas, and 13 years in church planting work (a Japanese church in Connecticut). He’s in his 50’s, but has the heart of a teenager in his energy for Christ. 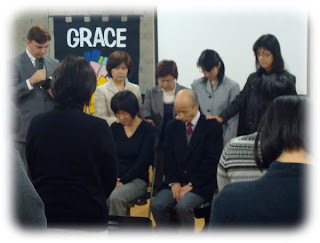 Last month, Denen Grace Chapel called him to begin as senior pastor from January 2010. We had not anticipated God to work this way even a year ago, but Pastor Kondo’s passion for Japanese saved abroad who return to Japan, dovetailed with the vision for Denen Grace Chapel. We look forward to what God has ahead for us together. 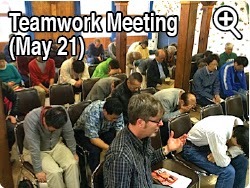 Would you hold us in prayer as we discuss how our teamwork can more effectively reach more Japanese for Christ, and lay the groundwork for future church planting together with Denen? We're not in this alone. Although it may seem like it at times. 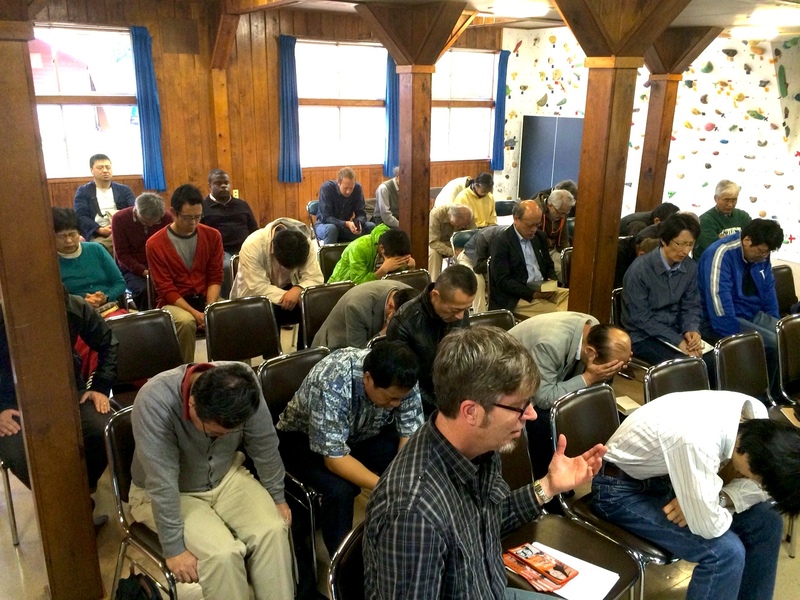 The Conservative Baptist Association of churches in Japan has 60 years of history, 55 churches, a camp, a seminary, a mission agency, and a good group of very dedicated national pastors desiring to work together for the evangelization of Japan. I've just returned from our three-day "Teamwork Meeting" about 7 hours northwest of Kawasaki. The campground it is held at is pictured at right. About 60 pastors, missionaries, and church staff gathered for the meetings. In spite of the difficulty of the task of reaching their own people for Christ, among the many things that encourage me is the desire of Japanese believers to go outside their country borders, and reach those in other Asian countries with the gospel. Currently we have Japanese missionaries in Turkey, Peru, Congo, and Korea. Short term teams are being sent to Hong Kong, Indonesia, and Mongolia. When a mission field begins to explore what its mission fields are, maturity in Christ is demonstrated in a big way! 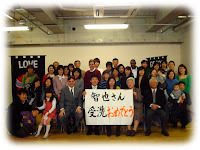 UPDATE 5/17/09 - Denen voted unanimously today to call Rev & Mrs. Kondo as pastor from 1/1/2010. Thank you for your prayer! More in an update later. VISION 2012: As God blesses and leads us, by faith we will pray for the following become a reality in the next 5 years. 1. 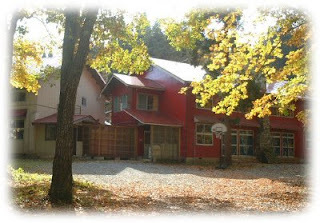 Emerge from the basement and establish a semi-permanent location or permanent location as a witness in the community. 2. 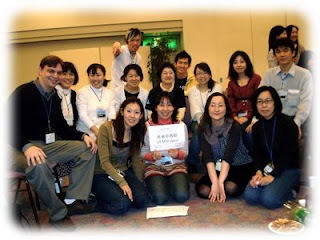 Call a Japanese part-time or full-time salaried pastor-leader to work in partnership with the current missionaries. 3. Grow weekly Sunday attendance to 50, membership to 35, and weekday small group involvement to 40. 4. Establish dynamic partnerships with other like-minded churches to lay the foundation for a daughter church plant. This Sunday, May 17, we will be voting on #2, the calling of a national pastor. We have been working with a candidate for the last half year and feel he is the right man for Denen's future. However, as you can imagine, supporting a pastor for the tiny membership of a new church is a tremendous challenge on a number of levels. Would you pray that people would allow their faith to be expressed as they vote concerning him? Yakisoba ranks up there as one of my favorite Japanese meals. 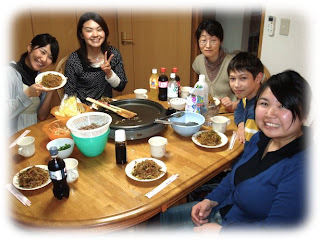 This past Thursday we had a Yakisoba party to celebrate the college graduation of three of our church members. Here they are gathered around the table in our tiny dining room (Kaori and Justen in background). For those of you who don't know, yakisoba consists of soba (wheat) noodles that have been fried on a hot grill. Usually the noodles are mixed in with cabbage, bean sprouts, meat, and seasonings. Various garnishes such as onions, cilantro, seaweed, and peppers might also be added. Yummmm! Question: What do all these people in the photo at right have in common? Answer: They've all lived somewhere in the midwest US during their lifetime. You might have guessed that about the guy at the far left in the photo (yours truly). But the rest of this bunch? Yes, this is a group of midwest "Returnees." Every year thousands of Japanese travel overseas to live as students, businessmen, and educators. Separated from the entanglements of their home culture, many Japanese become Christians while overseas. And every year, after 1 year or many years abroad, thousands of Japanese return back to their homeland as changed people. The fact is that MANY MORE Japanese become believers while outside their country, than those who remain in Japan! Nearly 80% of all Japanese who become Christians, became Christians while they were overseas. The difficulty becomes connecting these new believers to a church where they can continue to grow when they eventually return home. 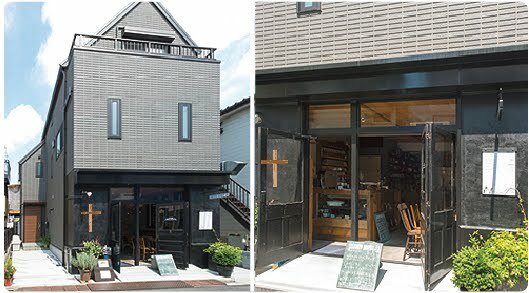 Often, Japanese "Returnees" find that they cannot really relate well to a traditional Japanese church. They are not understood, and not accepted. Often shortly after returning they uproot their faith from a local church altogether and blend back into society. 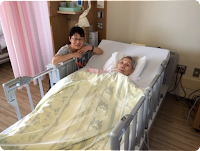 This is a great spiritual tragedy in the evangelization of Japan! If all these new believers were to remain in the church and grow strong in their faith, the Japanese church would be many times it's paltry 1% of the population size. 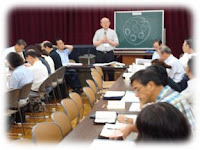 This past week I attended a conference here in Saitama, Japan that focused on the Returnee challenge. Naturally it was attended by returnees of all ages, including many young returnees, new believers and just back in their homeland. "All Nations Returnee Conference" had some 500 returnees in attendance for three days of sharing, worship, message, and strategy. 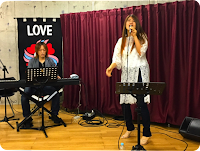 I was blessed and encouraged, and renewed in my effort and desire to reach out to this unique demographic in Japan. We want to be a receiving church for Returnees. Our church has at its core Returnees: probably 70% of the church has the experience of living from one to ten years overseas. Would you pray that we would continue to bring in and care for returnees, regardless of whether they have yet made a decision yet for Christ, so that a great harvest of souls result, and the church in Japan would grow strong? This spring marks the 150th anniversary of Protestant Christianity in Japan. 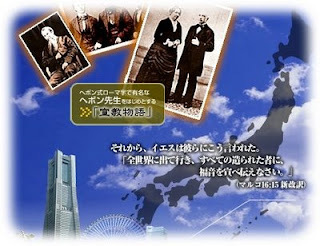 The first protestant missionaries set foot in the port of Yokohama back in 1859. Now they were real church planters -- overcoming all kinds of odds. In fact, Christianity was still a proscribed religion in Japan when the first missionaries arrived. 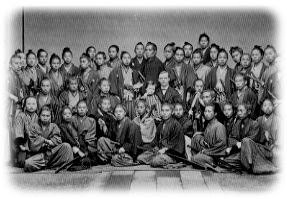 In spite of this prohibition, missionary work in Yokohama resulted in a series of revivals, with many converts coming from samurai families belonging to the Shogunate. The most success, however, was realized only after Christianity was granted freedom in the country. This occurred on February 21, 1873 in part as a utilitarian response to encourage trade with the West. The government removed the prohibition of Christianity notices on public bulletin boards for the first time in over 200 years. Now, Christian missionaries were free to evangelize openly. The scope of the missionary work was greatly expanded with the help of national evangelists and pastors including such men as Shinozaki and Honda, who advanced the church in country areas. Take a look at this photo of one of the earliest Protestant Churches. 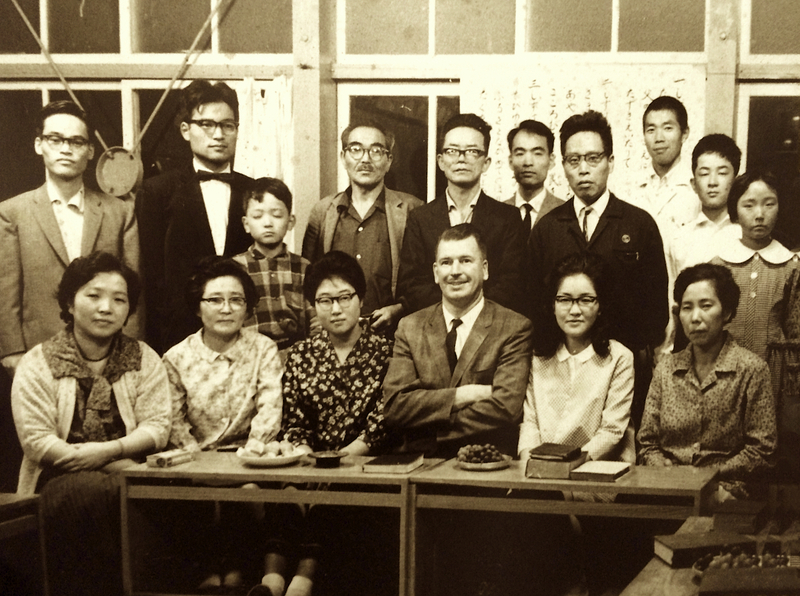 Can you find missionary Guido Fridolin Verbeck in the middle of the group of new Japanese believers? We missionaries today owe a great debt of gratitude for the stubborn will and faith in God that established the foundations of Christianity in this country! 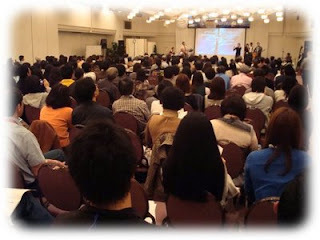 Thank you, Lord, for advancing your church in Japan! I needed to be back in time to remember how God works. And why our being missionaries is worth the sacrifice. This past week was a reminder. Let me rewind the clock to set this up. Last Sunday as Mr. Ubukata entered church, I asked how his father's (Kenzo) surgery went. Cancer had forced the doctors to remove a portion of Kenzo's colon. Mr. U replied that things went very well, thanked me for my prayer, and added that there was just his recovery and "he'll be home soon." That Tuesday, however, things took a dramatic turn for the worse: Kenzo fell into a coma. On Wednesday afternoon he died peacefully in his sleep. This might have been sad and tragic u-turn for the family, except for one very important lifechanging event: Kenzo had placed his faith in Christ as his Savior a few years earlier. He had the hope of eternity. He was home now. He was walking the streets of gold with his Savior. His 88 years of hurts and pains and sadness fell away in an instant as he discovered incomparable joy and life in heaven. As we sang songs of rejoicing at the funeral, I was reminded of the chain of people God used to bring Kenzo home. We came to Japan. Mr. U and his wife were friends of our core family in the church plant. So they began attending our tiny Sunday gathering. They placed their faith in Christ. Then Mr. U brought his mother to church. The first Sunday tears flowed down her cheeks as she sang hymns. A few months later she placed her faith in Christ. Then she brought the good news back to her other son. He was saved. At his baptism, Kenzo (the father), decided that this is what he wanted for himself as well. He placed his faith in Christ and was baptized soon after. The eldest Christian in his family, his funeral was of great testimony to his relatives. Now, a new current of faith in flowing in the Ubukata family. Six of them are believers. What if we had not come to Japan? Where would Kenzo and his family be? God is strong enough to save in some other way, I know. But I am thrilled that in his grace He allowed us to be a part of this family's new heritage, to serve as a link in the chain to bring Japanese to Jesus, just like Kenzo. Thank you, Lord, for bringing me back to Japan in time to see and be reminded of this. In his baptism testimony three years ago Kenzo wrote: "Many things have happened in the 85 years I've lived, but nothing compares to the great joy of knowing Jesus and walking with him everyday." Chocolate eggs and easter bunnies aren't unique to America. The "whipped cream" part of most American holidays have found their way to Japan. Easter goodies can be found in department stores here with very little searching. 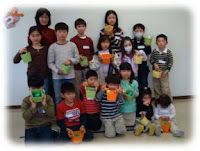 The Christian meaning of the holiday is completely lost on Japanese kids. What an opportunity for the church in Japan to introduce the resurrection story! We really enjoyed having 17 kids out for our Easter Kids Outreach. They sang Easter songs, heard the gospel story, played games and made crafts, and learned that church can be a welcoming place for kids (as did their parents as well). I preached on John 11:1-45 (story of Lazarus' resurrection) this year at church. I was struck again by what Christ has done for us spiritually. He came from the land of the living, to a land under the curse of death. He stood before the our tomb where we lay spiritually dead (Eph 2:1). Just like Lazarus, we smelled pretty bad! But then Christ called us out and into life united with him (Eph 2:5). "Kevin, come out!" I'm glad I responded to his call to new life in Him. This year's Easter (earlier than usual) dovetailed nicely with the start of cherry bossom seaso. So it really felt like a celebration of new life. We had a great celebration today. I was privileged to baptize one of the young believers in our church, brand new in his faith and eager to use his life for God's glory. 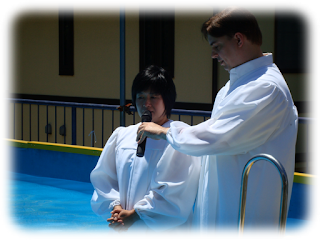 Baptisms in Japan, let alone decisions for Christ, are still too few and far between. The challenge of reaching even a small percentage of this country for Christ has been one that deeply discourages many a missionary. Recently I read that 99% of the missionary force serves in countries where at a majority of the population are believers. With Japan's 0.5%, I'm not sure whether that would make us the bottom (or top?) 1%, but it is a challenging field and a challenging work. So, today was a great day of victory. During the baptism celebration lunch, our "international division" at church sang choruses of a song in Hindi, English, Indonesian, French and Japanese as a reminder that we are different people (and nations) in one body under Christ. It was a taste of heaven, where peoples of all nations will surround the throne of our God and Savior with collective praise. Keeping that image alive in our minds is an inspiration in the challenging field. Click the image (above) to see the whole baptism celebration group. You have to be creative as a Baptist church planter in Japan. There aren't a whole lot of options for a baptism, particularly this time of year. We've no church facility yet with a baptismal. Outdoor pools aren't going to work in early spring either, even if one had exclusive access. Rivers and lakes are out. The best we could come up with was using another church facility and a borrowed tub. But even then only some of our people would be able to attend as the service would need to be at a different time and in a different place. Then the thought occurred..."What if we were able to use the local public bathhouse?" 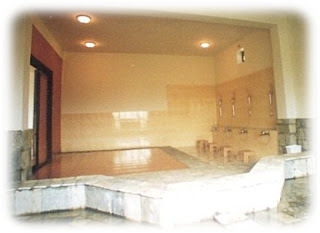 Public bathhouses in Japan are still quite common, as many small urban apartments do not have space for a bath tub or shower. Typically a male or female only bathhouse can handle 20 - 30 bathers at a time with individual faucets for each, and a collective tub for everyone (okay, you'll have to see one to understand the idea). It would be extremely unlikely the owner would agree to something like that. They've no understanding of Christianity, let alone what a baptism is. It would come across as an odd religious thing. With the many radical new religious groups in Japan, Japanese have a heightened adversion to getting involved with religious things period. Well, God goes ahead and opens impossible doors for us when we knock on them in faith. Amazingly, the owner of our local bathhouse agreed to let us use the facility exclusively on a Sunday morning for a baptism. Of course, he expects to collect 400 yen a head. Clearly there was some initial confusion about what a baptism was on his part. He wanted to know, "So, will all the people from your church being getting into the bath together?" "No," we assured him. "Just one. And even he will be wearing clothes." "Oh." he replied, "but if you're paying you should take a bath together anyway." Well, that would be a level of Christian fellowship we're not really ready for. Once in a while it's important to come together as church family for something fun. Seeing each other outside of the church context can be a healthy change. Today ten of us got together for a bowling and dinner party. 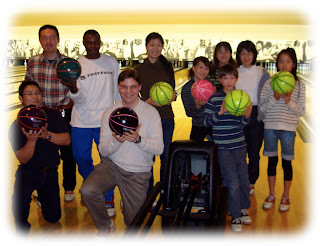 Our home is a stone's throw from one of the largest bowling alley's in Kanagawa, so the place was a easy choice. We discovered that none of us has much of a latent talent in this sport. Breaking 100 was a big deal. But it is refreshing when Japanese get together like this and clap and cheer each other on even when the person has thrown a dozen straight gutters. There is something that Japanese do better in the area of togetherness and community that I have learned much from. The competitiveness is still a part of things, but the emphasis on teamwork is so much greater in just about any Japanese sport. When asked what fun sport we can do as a church next, someone in our group suggested a marathon run. Hmmm. Not quite sure on that, but I am sure it would be done in a group-oriented Japanese way. We've been enjoying the opportunities the Christmas holiday provides in Japan for sharing the Gospel with Japanese. 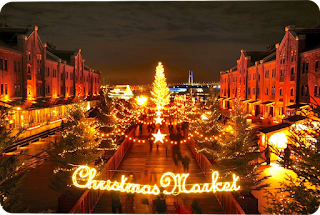 Japanese are spiritually open, but very unaware of the meaning of Christmas. 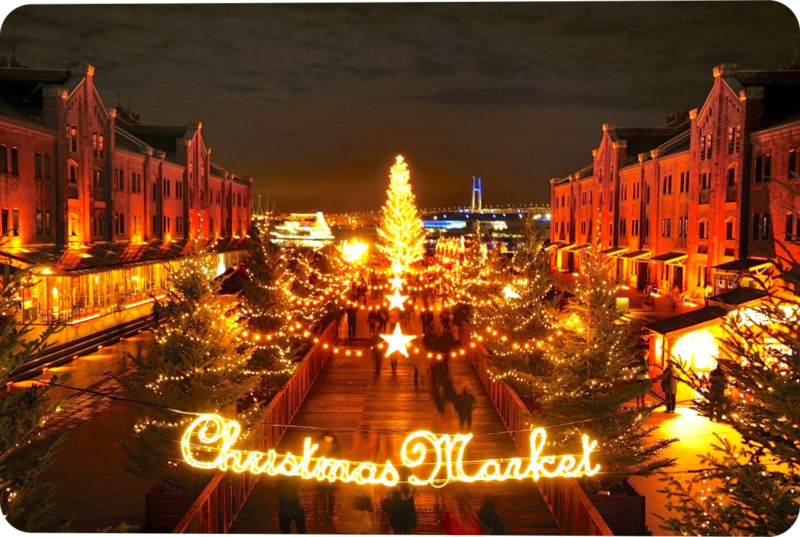 It truly is remarkable to me that millions of Japanese haven't any idea that Christmas has anything to do with the birth of Christ! It is a secular holiday in Japan, completely devoid of any religious significance. This past Sunday was our Christmas Service outreach at Denen for which we have spent some time planning. We rented a hall that holds 140 in the faith that God would fill it. Then the invitations, flyers, and emails went out to encourage our friends, acquaintances, and the surrounding neighborhood to come and be part of the day's events. It quite a contrast for a Christmas service; handbells and gospel! 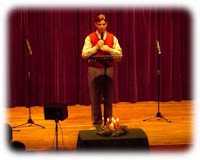 We also mixed in some special music by a guest soloist, and several carols. Kevin gave an evangelistic message on the meaning of Christmas according to the Bible. Merry Christmas 2007! Meanwhile downstairs we ran a separate Kids Christmas Party with Christmas songs, games, a Max Lucado kids video, popcorn, hot chocolate and more. We really stretched our staffing resources as a tiny church. My faith wavers between two fears when we do an event of this scale. 1) What if no one shows up? What if we've done all the planning, opened the doors, and no one walks in? (We have some of these days). I could personally get over the discouragement quickly enough, but I would feel badly for many others who have done so much to preparing and praying for the day. 2) Or, what if everyone shows up? What if among those who received the one of the 1500 flyers, many invited family, or classmates, or neighbors. After all, it is advertised as a free concert. What if 2500 or more people show up and we have no possible way to accommodate them, turn them away upset, and the reputation of our church plant in the community suffers as a result? As it turns out, God worked things out for us just right. We had 110 adults, and 19 kids. This is about 4 times the amount of number of people that attend our Sunday Services. They all went away having heard the Gospel message, and given Christian literature to read with the church information on it. We also fed them all cake, and coffee or tea. We appreciate many of you who were praying us through this day as a church. Now, please remain in prayer as we followup on some of these individuals in the coming days. Merry Christmas! 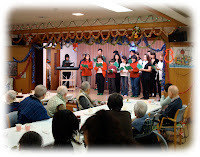 Today we had a great time together as a church caroling for a nearby retirement home for their Christmas party. This is the second year that we've visited with them. 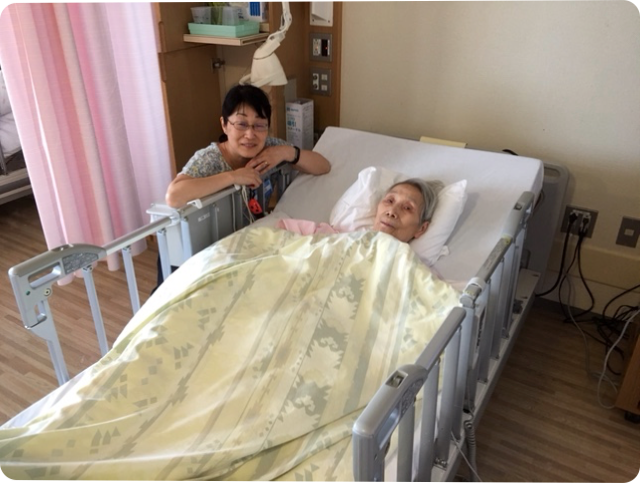 The quality of care in Japan is very excellent, but it was easy to tell that many were in great need of personal touch and attention. And all of them were in need of the hope of eternal life, forgiveness and peace. It was great to share with them the simple story of Christmas. It is also encouraging to see our church continuing to come together in ministry, particularly outside of its comfort zone. Our group of young Christians still has much to understand about its role as light in the darkness of Japan, but at least we are blinking very brightly these days.